Been on a roll of late. Decisions have been easy. Not so much deliberating. Just execution … and concentrated time. I’m now the king of the hot melt gun. 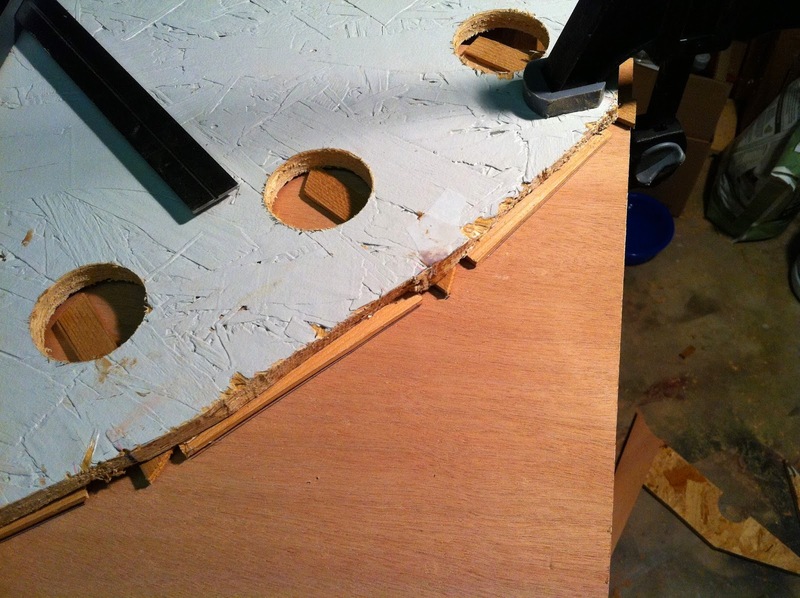 The crude tool allows for quick bulkhead spilling and many floor templates. 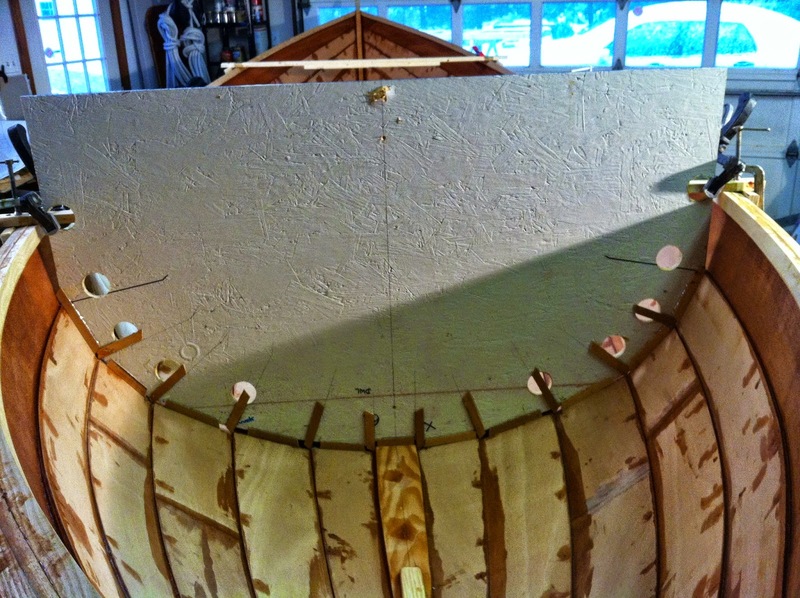 After cutting the moulds to slip past the partial inhales, I used scrap wood strips to locate the hull laps and faces. Tracing to the plywood from there was a piece of cake. 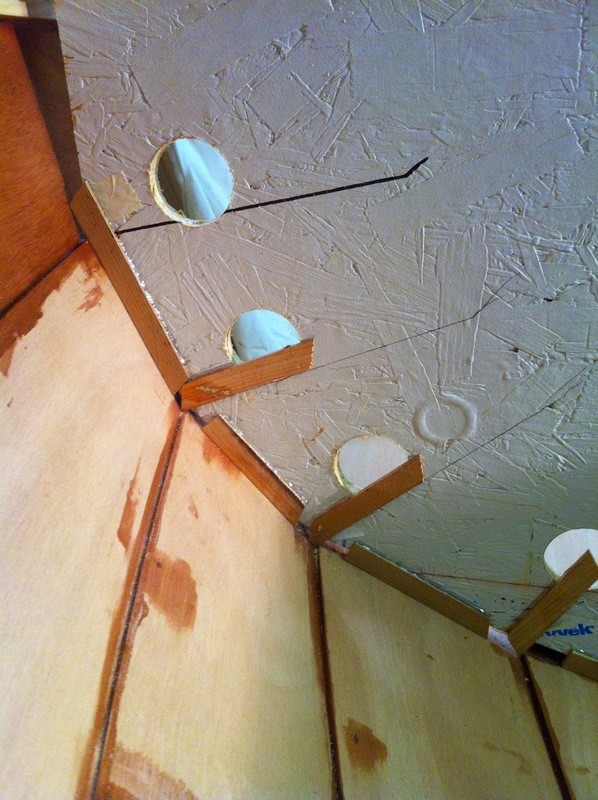 Points for tracing to ply. From there I moved to the mast steps. 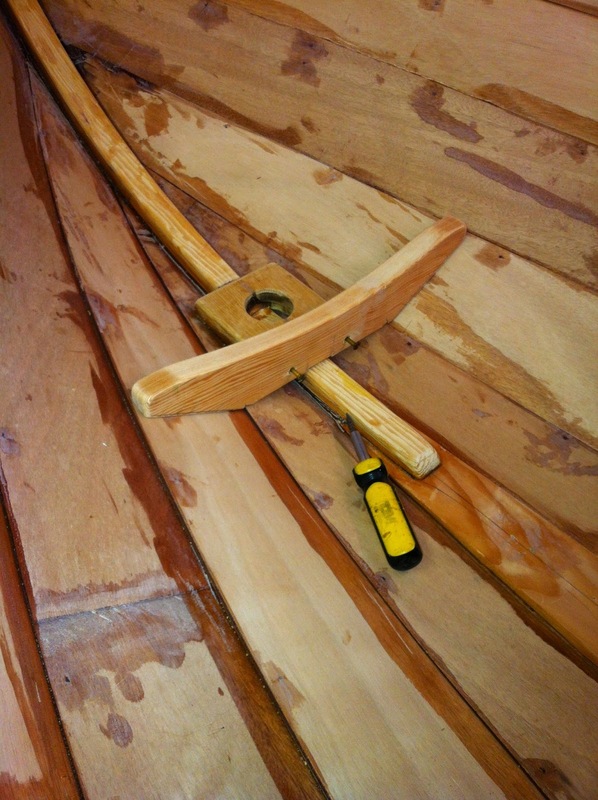 Carving a few pieces of oak for the mizzen fried me. Alas, I came up with a better idea. 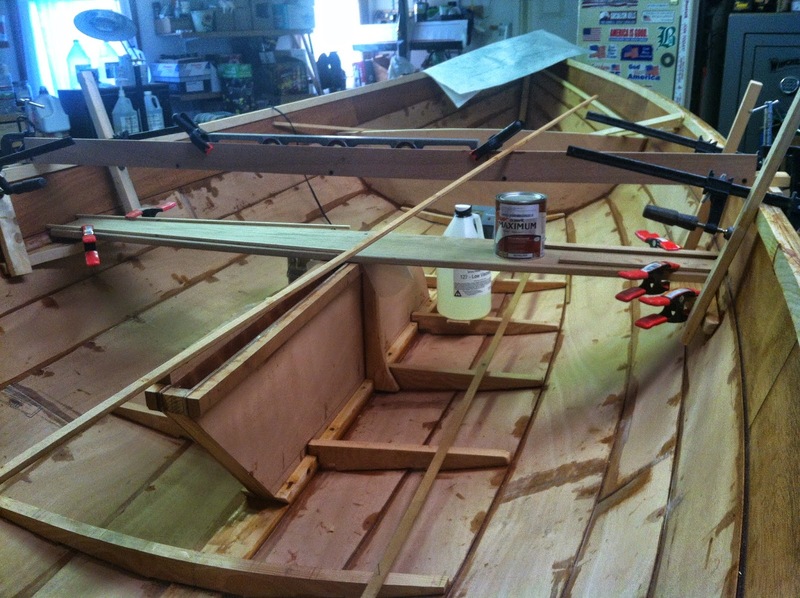 The step is still supported by the keel, but I added a short floor to accept the lateral load. 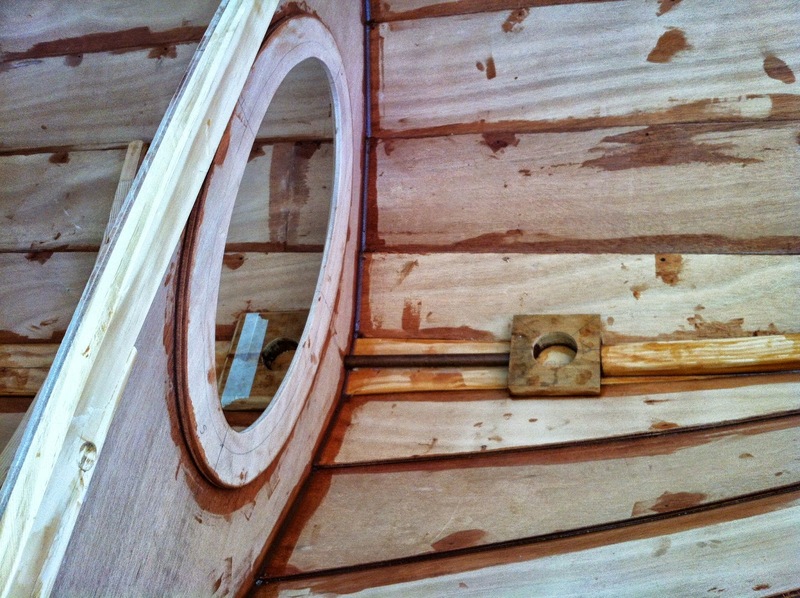 This all allows for any water dripping down the mast to pass into the bilge from the bottom of the step. Arrangement is quite stout. 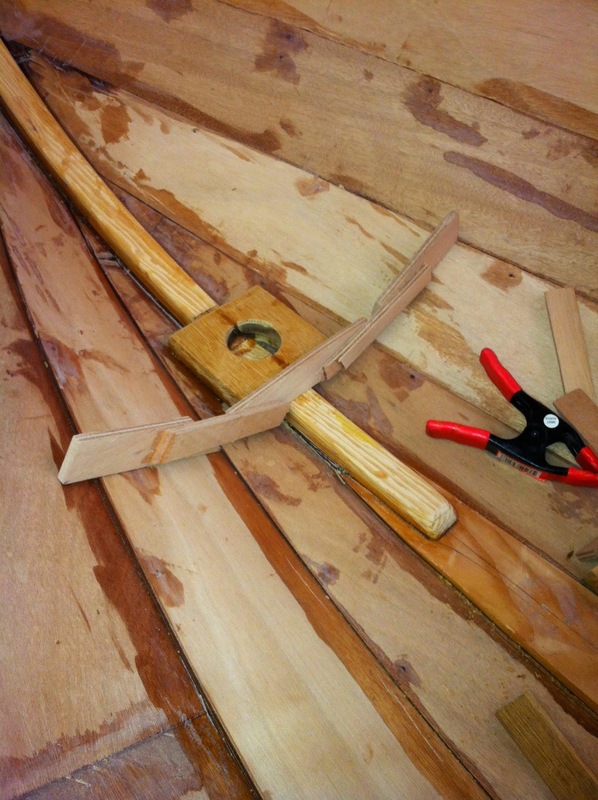 Mast step and hot melt template. Bolted floor ready for epoxy. I shortened the weeps from what was shown in the plans. 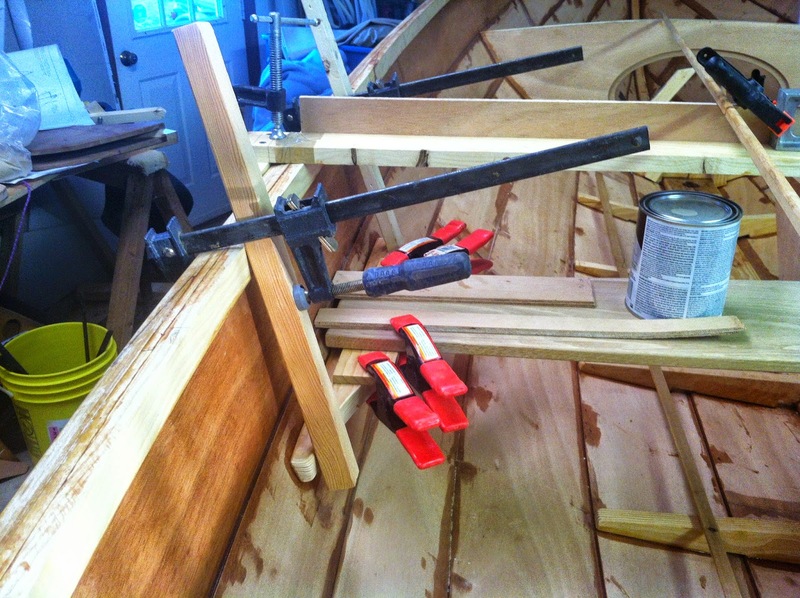 They are still 1 1/2″x 3/8″ and provide longer attachment to the hull. 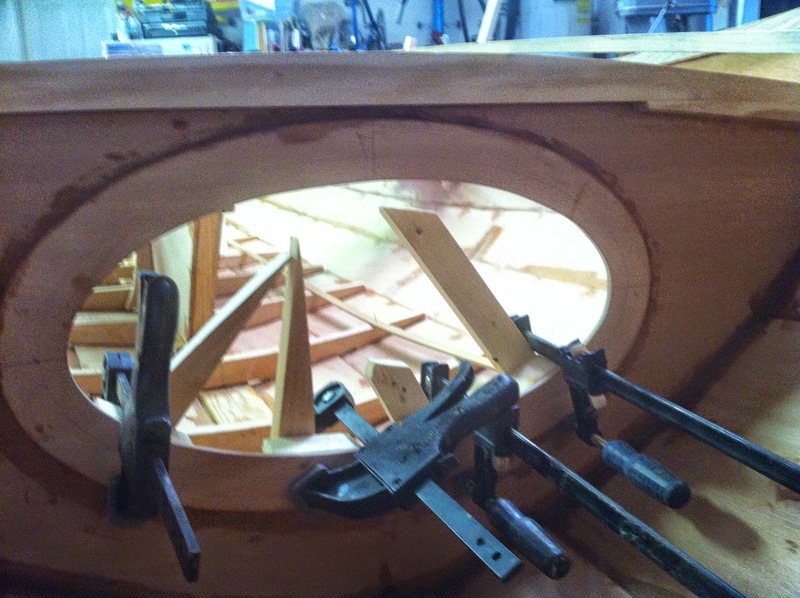 Elliptical hatch in forward bulkhead. 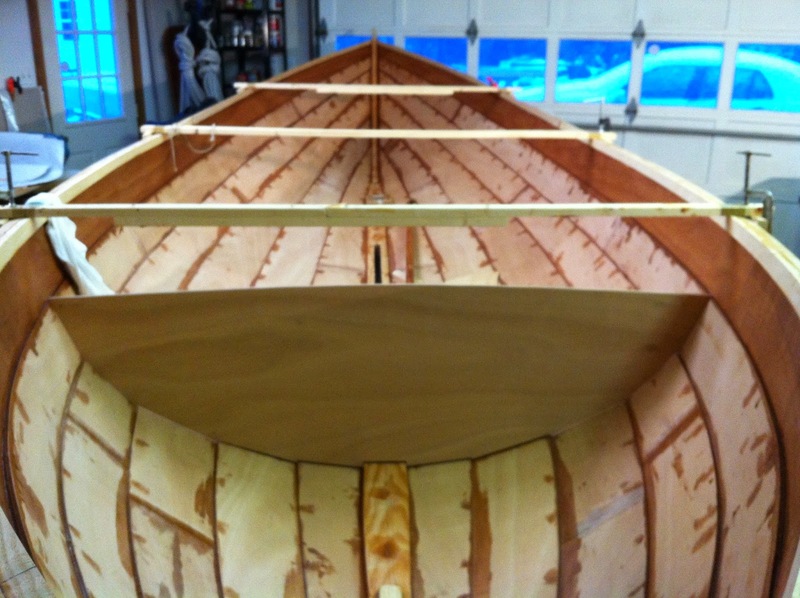 Centercase is epoxied and clamped into place. 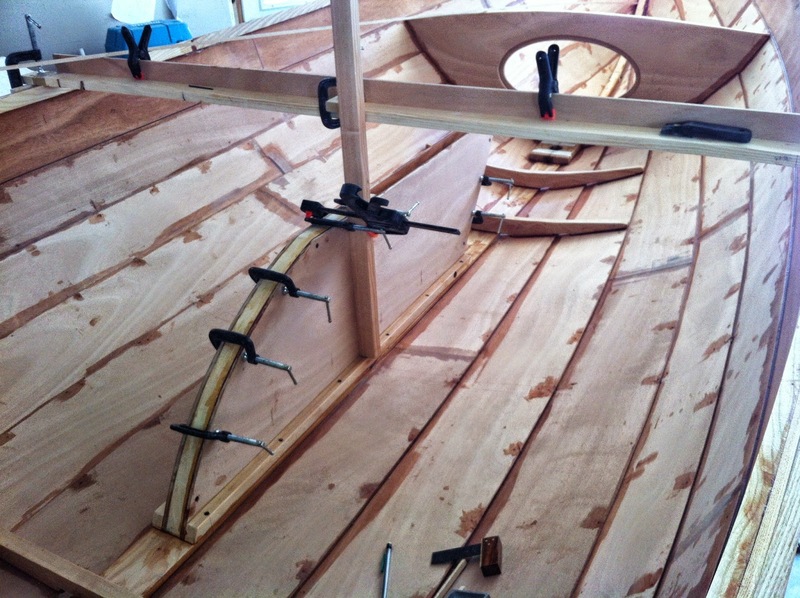 Main mast step and 1/2″ copper drain tube. 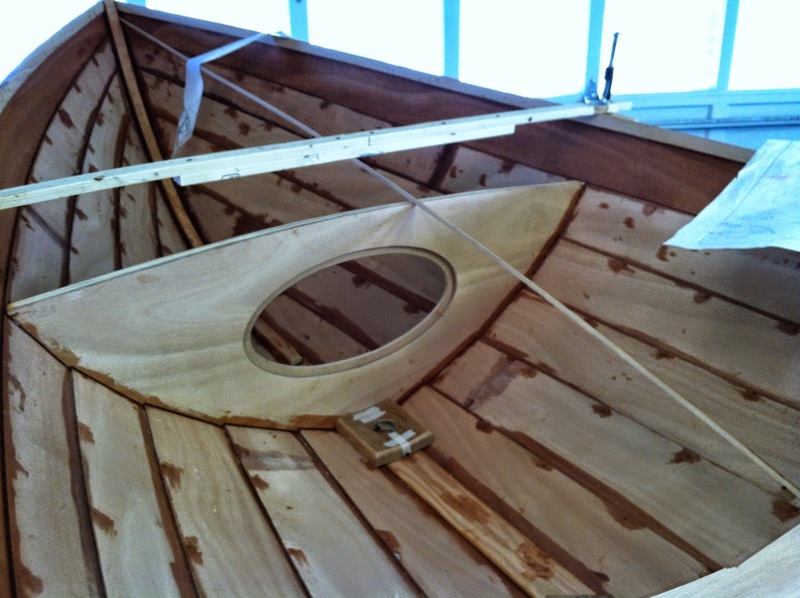 A coating of epoxy was put on the interior of the centercase, drywall screws used to aid clamping, and the whole deal screwed to the keel. 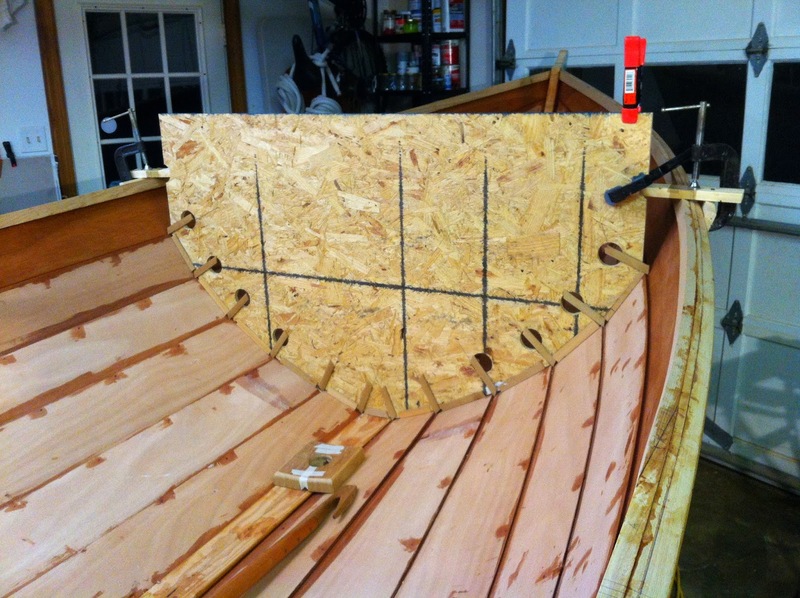 A cross support monitors the athwart ship level and helped keep the center case square while drying. 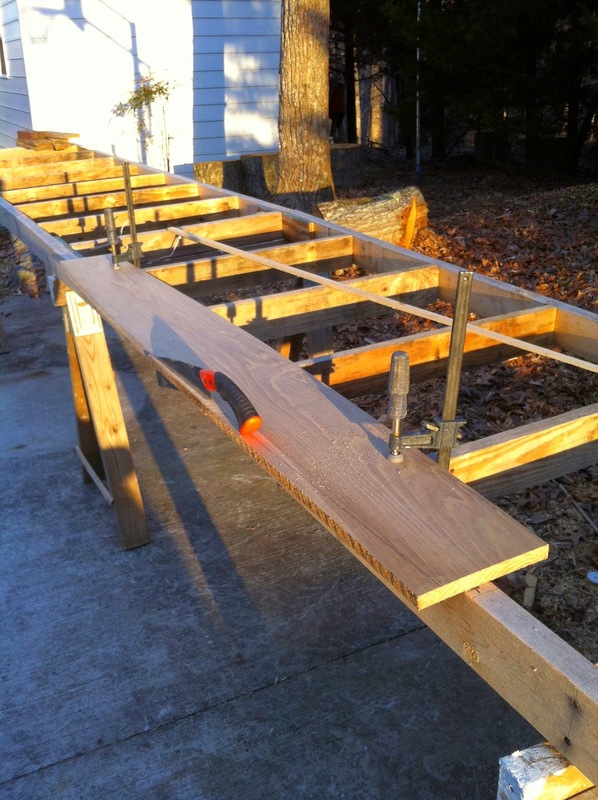 A band saw is now high on my list for next tool purchase. 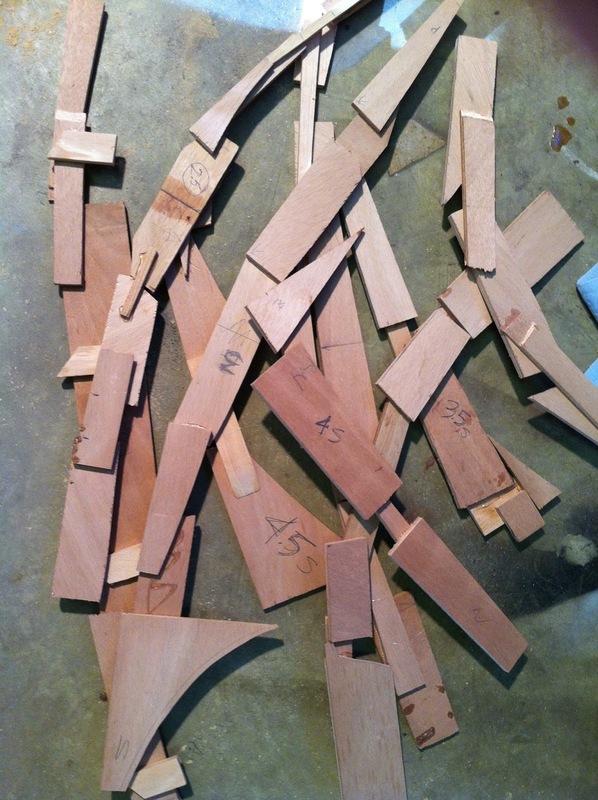 After my last jig saw blade snapped, I was left with a workout for the old wing. By hand makes a better square cut, but boy did it take time. Assorted templates for all the floors. Gluing up of thwart cleats. All steps and floors are in. 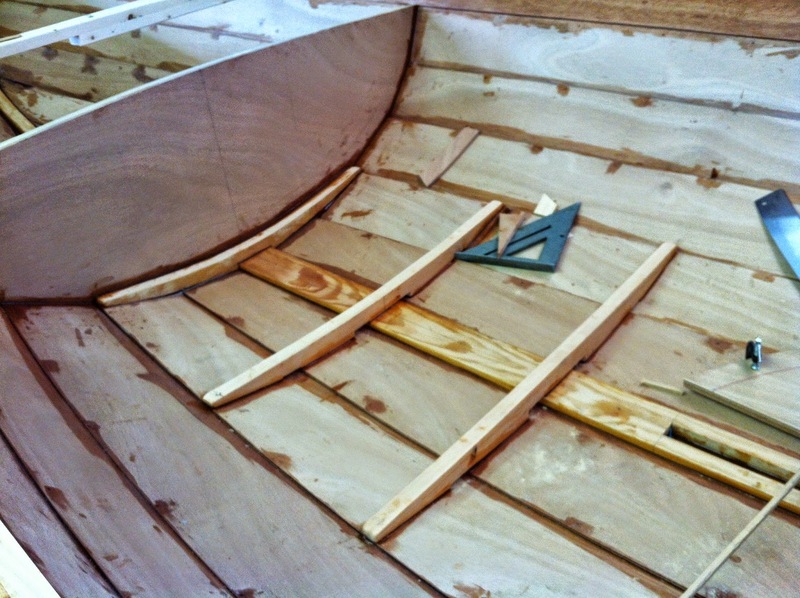 Both bulkheads secured with fat fillets (tongue depressor) on the inside and smaller outside (Popsicle stick).